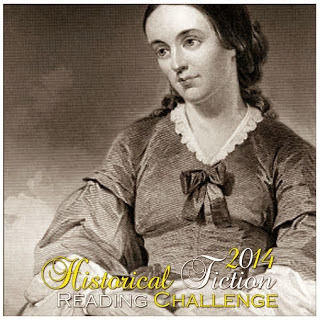 Welcome to the 2014 edition of the Historical Fiction Reading Challenge! We are very excited that so many of you have signed up for the challenge this year, including quite a few new participants! I am sure there is going to be a lot of great historical fiction discovered and shared with fellow HF lovers again this year! I hope that you all enjoy your participation in the 2014 Historical Fiction Reading Challenge. Excited about participating in this challenge! Have entered my link. Hope I have done all that is required. was checking other links and wonder if #2 is an error? or advertising spam? Will the linkups be featured in the sidebar like the 2013 ones were? It's getting harder to find this post now that more reviews, etc. are going up. thanks! Hi Audra! The 2014 links should show on the sidebar now (January is there). It is under last year's picture at the moment but hopefully that can get fixed soon! Found the link again after some difficulties. Happy with my January reads. I finished Wide Sargasso Sea and The Stockholm Octavo this month for the challenge. I have linked Wide Sargasso Sea above, will come back in next day or so to link The Stockholm Octavo, I haven't written review yet. I did read The Great Gatsby as well this month, but being the roaring 20's failed to materialize for me I am not counting it. I will have plenty of other books to pick from as the months go on. Tried 3 times but my link is not working. Will try it another day. A couple of January reviews entered in the list above!